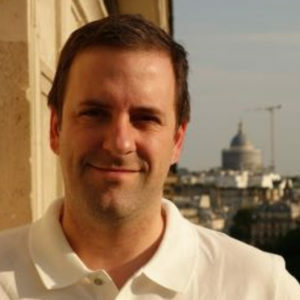 Sylvain Gigan is a Professor at the Université Pierre et Marie Curie, Paris (France). He received his PhD in 2004 at the Laboratoire Kastler Brossel in Paris, on quantum imaging. After a postdoc in Optomechanics at the University of Vienna, Austria, he has established his group at the Langevin institute in Paris, working on wavefront shaping techniques for complex media imaging, and he moved in 2014 to the Laboratoire Kastler Brossel. His results include the measurement of the transmission matrix of a complex media, the time-reversal focusing of an ultrashort pulse through a scattering medium, and the development of a single-shot method for non-invasive imaging in scattering media. In 2011, he was awarded a “starting grant” from the European Research Council (ERC) on the topic Complex Media investigation with adaptive optics, and in 2016 an ERC consolidator Grant on Scattering media as a resource for information processing and sensing. He is co-author of >55 publications in international journals, 5 patents, and co-founder of startup company LightOn that develop optical computing solutions for Machine Learning.